A residential school survivor in northwestern Ontario is calling for an independent probe into the way the province's law society handled a conduct review of a lawyer accused of mishandling settlement claims. Garnet Angeconeb said he wants to see Canada's Department of Justice investigate the process undertaken by the Law Society of Ontario that examined the conduct of Kenora lawyer Doug Keshen, who was accused by more than a dozen residential school survivors of mishandling their claims received from Canada's Indian Residential Schools Settlement Agreement. Those hearings stopped in 2017 when Keshen and the law society agreed to participate in a separate process through which the parties came to a mutual agreement for Keshen to have his work reviewed by the regulatory body. That left survivors feeling "really hurt by the process," Angeconeb said. "The tribunal process ... did not work in their favour, nor was it ever concluded in a way that had meaning for survivors," he added. "When the law society process fails complainants as in this case, where do people turn to?" When dealing with complaints against other agencies, such as law enforcement, Angeconeb said there are appeal avenues in place, "but when the law society fails complainants, where do we go?" Keshen has denied any misconduct in the way he handled claimants' files and has not agreed with the idea he made mistakes worthy of discipline. The former treasurer — or head — of the law society, Paul Schabas, acknowledged the regulator needs to become "more culturally competent," and it pledged to improve the way it serves Indigenous people who bring concerns or allegations of professional misconduct by lawyers. That came in 2018 when a special review panel found deficiencies in how the law society deals with Indigenous people and issued nine broad recommendations for change. The law society did not grant CBC News's request for an interview to respond to Angeconeb's concerns and call for an independent probe, but in an emailed statement, a spokesperson said the regulator continues to implement the recommendations made last year. 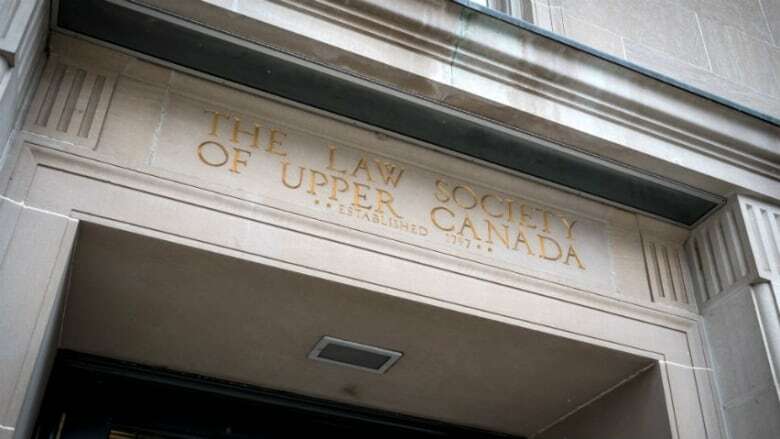 "Periodic updates will be made to Convocation (the law society's governing body), with the next update scheduled for spring." On Jan. 18, Justice department officials confirmed they received Angeconeb's letter and were reviewing his request. Top officials with the law society visited Lac Seul First Nation, near Sioux Lookout, in June to meet with residential school survivors, elders and other community leaders to discuss the regulator's plans to improve — a process Angeconeb said left people with "mixed" feelings. Angeconeb was not a complainant in the case against Keshen but was close with some of the survivors. He's also a long-time advocate for survivors and received the Order of Canada for his work in bettering race relations. He said the justice department is the most appropriate body to conduct a review, as the residential schools settlement agreement is "a legalistic agreement and that Canada is a part of that agreement." "Through a probe by Justice Canada on the law society, would bring about some answers that had never been made clear to survivors in this regard," Angeconeb continued, adding that some questions that remain unanswered include why the tribunal process involving Keshen "collapsed," and why it took so long, only to come to a halt. Angeconeb said he sent letters in late 2018 outlining his concerns to now-former Justice Minister Jody Wilson-Raybould and the two federal ministries responsible for Indigenous affairs. "Hopefully something good will come out of this."